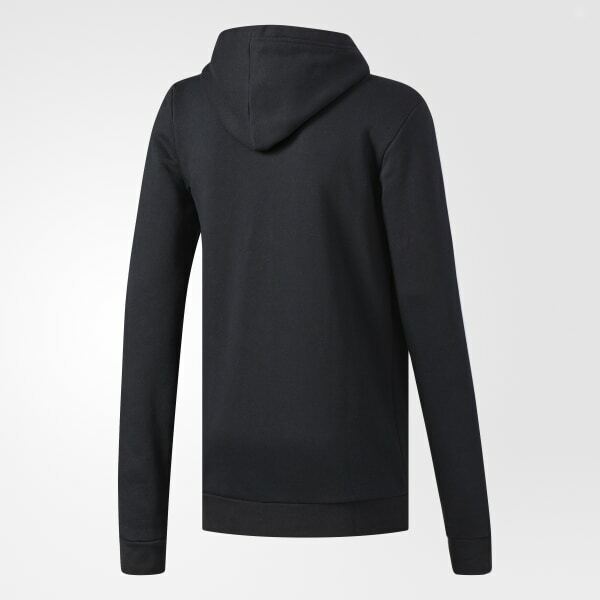 A fleece hoodie to get you to and from the gym in warm comfort. The soft fleece build of this men's jacket keeps you warmed up on your way to the gym. 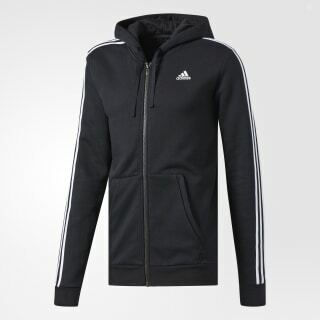 It has a full zip with a drawcord-adjustable hood to help block out the chill and features 3-Stripes on the sleeves.